The big news around here this week was that Paul McCartney will be playing a show at Lambeau Field on June 8. That’s a little over 2 miles from our house. Macca himself, practically in our neighborhood. But we’re not going. We’re seeing him two nights earlier at the Kohl Center in Madison. That show was announced first, at the end of August. We were fortunate enough to get tickets. We’re good with that. All of this got me to thinking about seeing the Beatles live. Some day, we’ll look back and say we did the best we could, given that we came along too late. Day One: Friday, Aug. 12, 1966. I was 9 when the Beatles toured America for the last time. We lived a mere 150 miles away when that tour opened at the International Amphitheatre in Chicago that Friday. But, again, I was 9. The Beatles weren’t on my radar except as Saturday morning cartoon characters. Day Two: Wednesday, Aug. 30, 1972. John Lennon never toured America. I was 15, soon to be a sophomore in high school, when John played his last full-length show at Madison Square Garden in New York. It’s laughable to think it might have been publicized in any way in our corner of Wisconsin. That show might as well have been on the moon. Day Three: Saturday, Nov. 30, 1974. I was 17, a senior in high school, when George Harrison went on his only tour of America in November and December 1974. Maybe they mentioned on the radio that George and Ravi Shankar were playing two shows at Chicago Stadium. Had I known about the shows, and had I somehow scraped together the money for a ticket, I suppose I could have driven the 280 miles to Chicago that Saturday. But realistically, none of that was a possibility. We probably had a basketball game or a party, or both, that night. Day Four: Tuesday, July 16, 2013. We saw Paul McCartney at Miller Park in Milwaukee. We had seats in left field, on the field, stage left. It’s not every day you see one of the Beatles up close. Paul did not disappoint. Tremendous, wonderful, almost surreal. Day Five: Saturday, Sept. 8, 2018. We saw Ringo Starr at the BMO Harris Pavilion at the lakefront in Milwaukee. 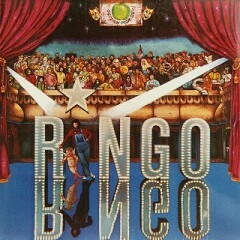 Ringo did not disappoint. Still irreverent, still cracking wise. We heard, and sang along to, “Yellow Submarine.” Peace and love, everyone, peace and love. Never saw the Beatles. Never saw John. Never saw George. Saw Paul and Ringo. But there’s still some unfinished business. Day Six: June 6, 2019. We’ll be in the same room with Paul McCartney. Day Seven: TBD. I hope to walk across the Abbey Road crossing someday. Maybe that’ll be in 2021, when I’m sixty-four. Let’s say a new record came out today. All four Beatles are on that record. That would be a big deal, wouldn’t it? Let’s say some of their pals are on that new record. You might have heard of them. Klaus Voormann and Billy Preston and Harry Nilsson and Marc Bolin and Nicky Hopkins. The Band, too. That would be quite a big deal, wouldn’t it? But when that new record came out 40 years ago this month, some lamented it for what it was not, rather than celebrating for what it was. What it was not, was a new Beatles record. As 1973 came to a close, fans clung to the hope that such a thing might still be possible. What it was, was this. “Ringo,” the third solo LP by Beatles drummer Ringo Starr with a little help from his friends, holds up quite nicely all these years later. It rose to No. 2 on the Billboard album chart, driven by three hit singles: “Photograph,” which Ringo wrote with George Harrison; “Oh My My,” a Ringo original; and “You’re Sixteen,” Ringo’s cover of the old Johnny Burnette song. Yet the deep cuts had something for everyone seeking that next Beatles record. “I’m The Greatest,” a whimsical look at fame written by John Lennon. It’s basically a Beatles track with all parties except Paul McCartney. “Six O’Clock.” There’s Paul (and Linda), with a regret-filled love song written by them. It channels the Beatles and points the way toward Wings. “Sunshine Life For Me (Sail Away Raymond),” written by George. It’s basically Ringo and George fronting The Band with David Bromberg. It sounds like an Irish folk song. Listen closer, consider The Band’s involvement, and you hear another nod to a Beatle’s American influences. Back then, I had “You’re Sixteen” on a 45. I loved it. I was 16. Some symmetry there. When you flipped it over, you heard this on the B side. “Devil Woman,” Ringo Starr, from “Ringo,” 1973. Also available digitally, of course. On which Ringo, working without the rest of the Beatles, rocks out on a song he wrote with Vini Poncia. Which, as 1973 turned into 1974, was not necessarily what everyone wanted to hear. But I dug it then, and I dig it now. Please visit our companion blog, The Midnight Tracker, for more vintage vinyl, one side at a time.